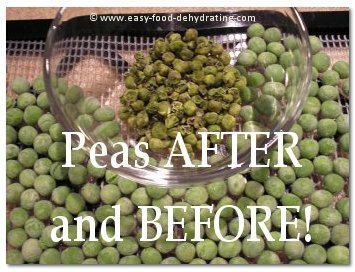 Dehydrating Peas - Easiest Vegetable to Dehydrate! 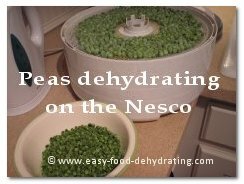 Dehydrating peas is the easiest of all vegetables to dry; they rank right up there with corn! If you choose to use a frozen variety, it's just a case of opening the bag, pouring them onto your dehydrator trays and pushing the "dehydrate" button! (I use one of the mesh screens to make sure they don't fall through the dehydrator tray openings). Also, use latex gloves while spreading out the peas so that they don't stick to your hands! 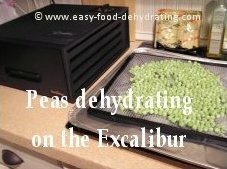 Here are a bunch of peas on an Excalibur food dehydrator tray. The Excalibur I'm using has the capacity to hold four trays. If I'd used my Nesco dehydrator, I could have chose to use more than just four trays; that's the beauty of being able to add however many trays you need! Read more about the Excalibur dehydrator HERE and the Nesco Dehydrator HERE. If you're lucky and have your own garden, dehydrate fresh ones obviously! 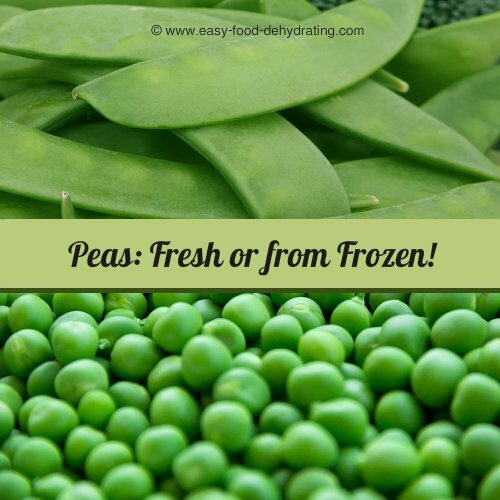 Instructions on how to dehydrate fresh or frozen peas are farther on down the page. 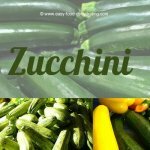 It goes without saying that they are great for use in Soups and Stews! Here's a great pea soup recipe for you! It's one of my dad's favorite soups that I make! Peas are a fantastic source of vitamin A, followed by vitamin C, Choline, and Niacin. There are trace amounts of Thiamin, Pantothenic Acid, Riboflavin, vitamin B6, and vitamin K. Their minerals: a good source of Potassium, followed by Phosphorus, Magnesium, and Calcium. They also have trace amounts of Iron, Zinc, Manganese, Copper, and Selenium and contain Omega-3 and Omega-6 fatty acids. These are are one of the easiest vegetables out there to do — and even easier if you choose the frozen variety! love smoothing the peas out on my trays! As mentioned at the top of the page — remember to wear your latex gloves — they help stop heat transference – and that means your peas WON'T stick to your HANDS! :-) This way, you can smooth them out on the trays easily. If you are using frozen peas, ignore step 1. Shell, wash, and lightly steam fresh peas until you see the skin indent a little, then rinse with cold water, let dry. Arrange on your food dehydrator trays, (using the mesh inserts), making sure the peas have some breathing room! They will be brittle when fully dried. Drying time: between 5-14 hours. If you're interested in learning how to grow peas, Common Sense Home has some guidance for you.